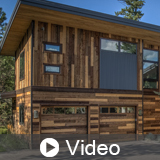 The look of reclaimed wood is popular across all generations for different reasons. The modern rustic design trend incorporates the warmth and character of wood with the clean, fresh look of a contemporary aesthetic. 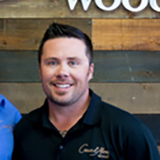 Prior to founding Couer d'Alene Wood, Chris owned and operated, BC Coastal Builders, a construction company, which specialized in high-end residences and premier retail, restaurant, bar and entertainment spaces. Chris’ company built over 200 high-end residences, many of them for A-list celebrities and over 70 commercial restaurants and retail spaces for well known industry leaders, including Restoration Hardware’s flagship store in West Hollywood. Chris was featured on HGTV shows as a celebrity builder for Johnson and Johnsons’ Design within Reach.